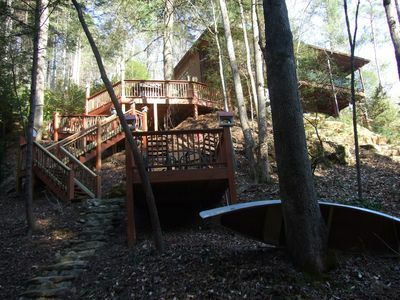 Mountain Acres Retreat rental home sleeps up to 10 persons, with the most open windows in all of our properties. 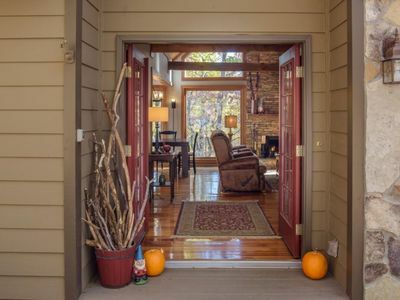 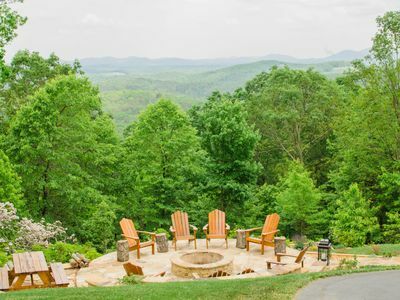 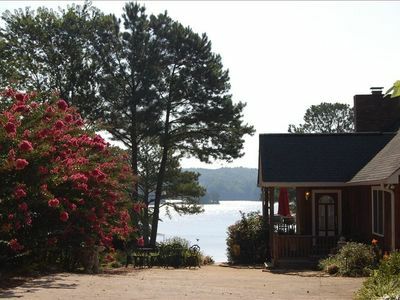 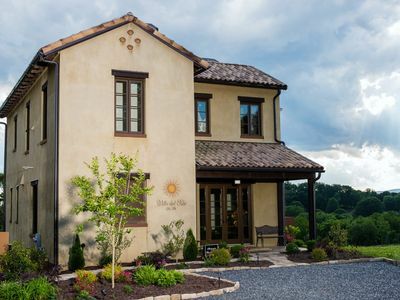 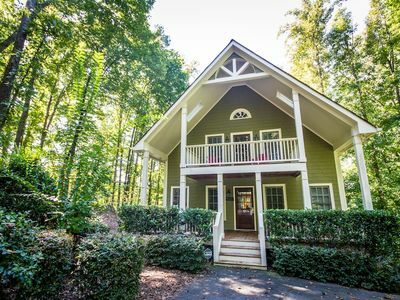 This 2,500 square foot luxury home has year round lake views and is close to hiking, and trails. 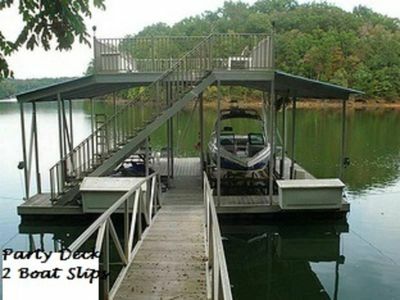 8 Swimming Pool Passes Provided Per DayPlug-Share for Electric Cars: NEMA 14-50Expansive Deck with seating and a propane grill. 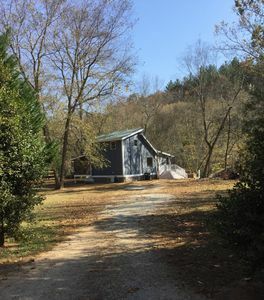 Fully stocked kitchen, which includes a dishwasher, stove/oven, refrigerator/freezer/ice maker, stainless steel cookware, bake ware, spices, glassware and trash bags, Washer/dryer. 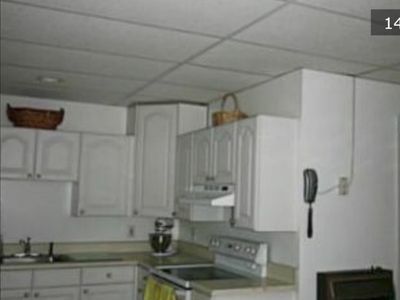 There is a dining area that seats up to ten. 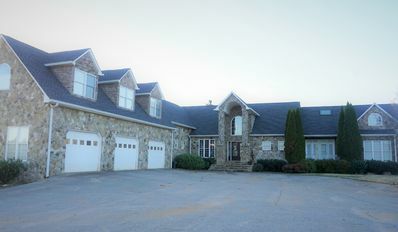 The King master bedroom is on the main floor with second King Bedroom on Main Floor and bath Downstairs bedrooms include queen and 4 bunk beds that share a bath. 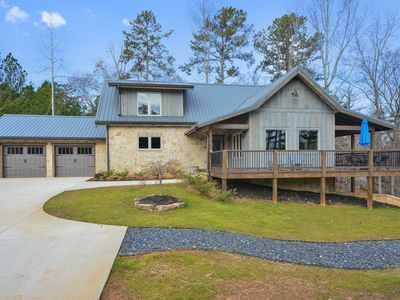 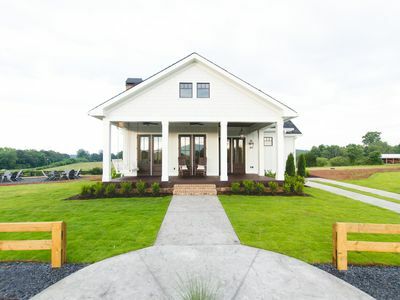 The home has designer custom finishes with extra large picture windows throughout and a multiple sitting/lounging areas with an outdoor dining area accommodating up to eight people. 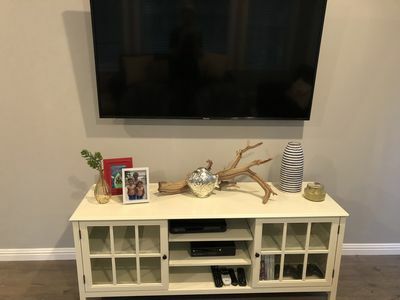 Main Den has wood burning fireplace with multiple TV and Dish Network. 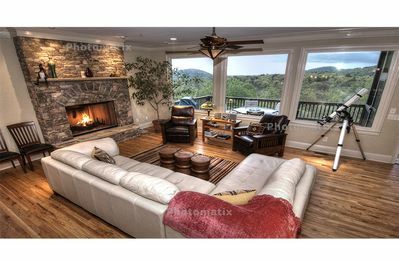 Beautiful Private Estate with Amazing Mountain Views + Lake! 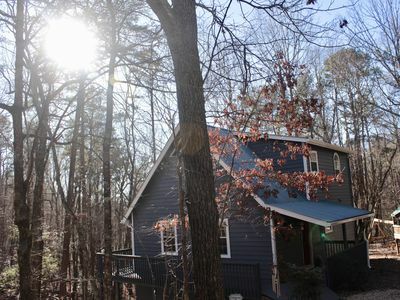 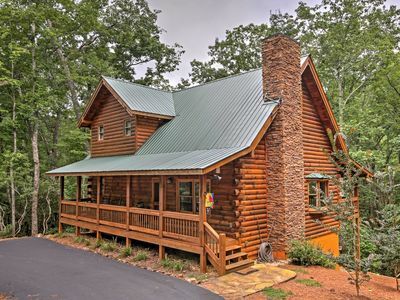 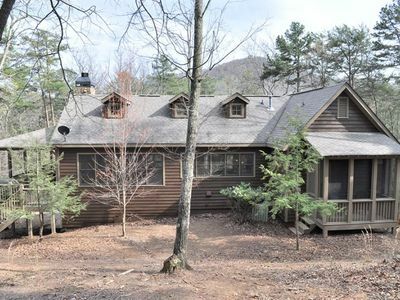 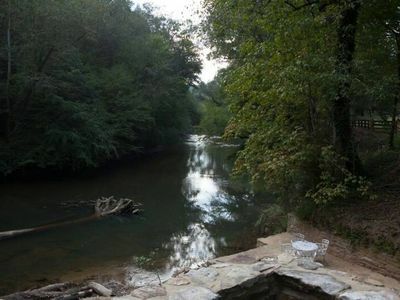 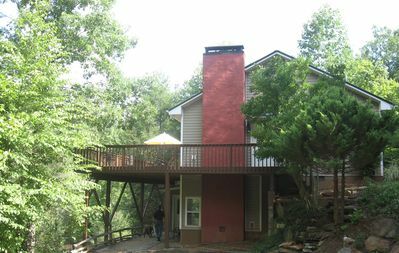 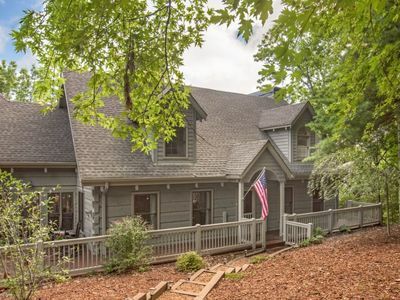 Peaceful Dahlonega Log Cabin w/ Pool Table & Deck! 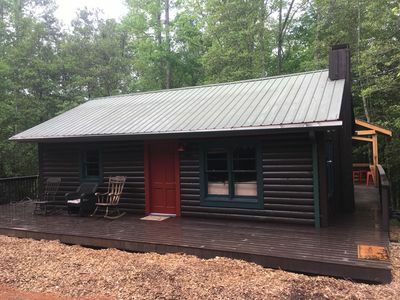 Welcome to our country cabin!